Hello and welcome to Creative Catering. We are a catering company based in Didcot, Oxfordshire, and mainly serve Oxfordshire and it’s close neighbours. The services that we offer range from Business lunches to hogroasts, to a full sit down meal with waitress service. Please see the Menu’s link for more information. Our client base ranges from an Oxford University College’s yearly ball, to a local wedding. Some of our clients have also given us a testimonial, which can be found on the testimonial page. Thank you for visiting, and feel free to look around, and please contact us if you have any questions. Creative Catering. 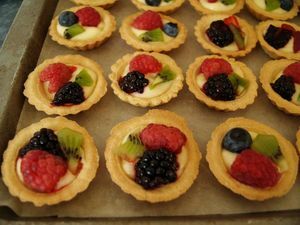 – 18 years experience of catering in and around Oxfordshire. Creative Catering is a well established family business with over 16 years experience based in the village of Blewbury in Oxfordshire. We operate from fully equipped commercial kitchens staffed and managed by a proficient and dedicated, flexible and friendly well presented catering team. Our daily incoming deliveries of all fresh food produce requirements to our kitchens and the outgoing prepared function deliveries are all transported in our refrigerated vans, we also have cold room storage facilities at our premises. Our kitchen staff provide wide ranging variable, adaptable and affordable catering services for all occasions and requirements, weddings, parties, pig roasts, buffets, funerals, canapé receptions, cream teas and amongst other functions business lunches. All our menus are adaptable and can be bespoke or tailored to suit your individual needs or dietary requirements, short notice bookings considered. Our local butcher is renowned as a purveyor of the finest high quality fresh and cooked meats which is ordered and collected on a daily basis. Savages, Blewbury’s unique local greengrocer and florist are our and other local catering establishments main source and supplier of first class fresh fruit and vegetables that are ordered and collected as required. The fish merchants M. & M. Spink of Arbroath, as seen on TV with Rick Stein, is our supplier of the world famous Arbroath Smokies delivered directly from the smoke house, visited regularly by our staff, to our kitchens in Blewbury. The smokies are served in various ways, as a cold fillet starter, used in speciality dishes such as Arbroath Smokie fish cakes, fish pies and fish chowder. Our fish merchant also supplies finest Scottish fresh haddock used in the preparation of our fish dishes, also included on our menus is hot smoked salmon, another speciality from Arbroath. As one of the principal providers of catering services for Salter’s Steamers a selection of our menus are featured in the Salters Thames Cruises brochure, their steamers ply, as private chartered and daily service cruises up and down the Thames, sailing anywhere between Oxford and Staines. Creative Catering provide services to many small and large local businesses including AEA Technology Plc., Culham Science Centre, Vitra (UK) Ltd. and many others. Our freshly prepared finger buffets, cold and hot fork lunches are prepared each day and delivered at a pre-arranged time. Orders can be taken by fax, e mail or phone.